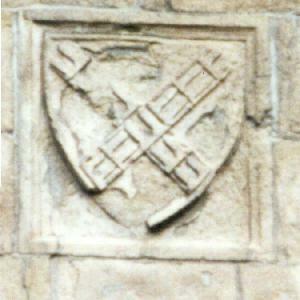 Arms of Innocent X (1644-55) on the Porta Portese. 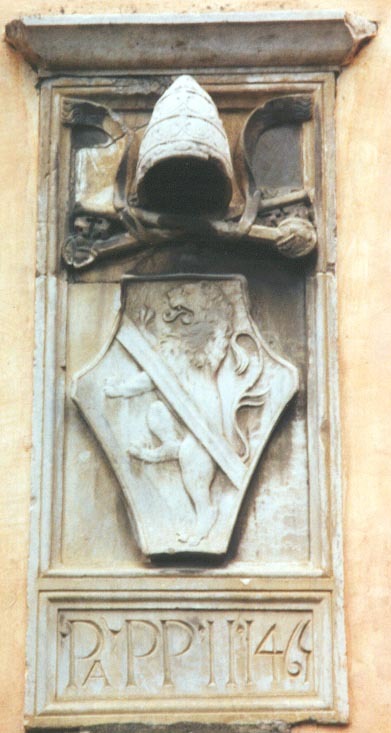 A tomb in Santa Maria in Trastevere. 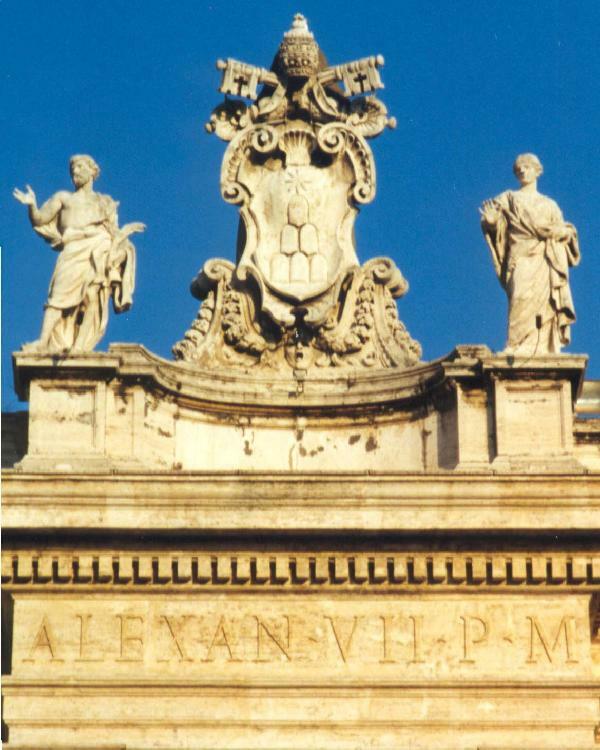 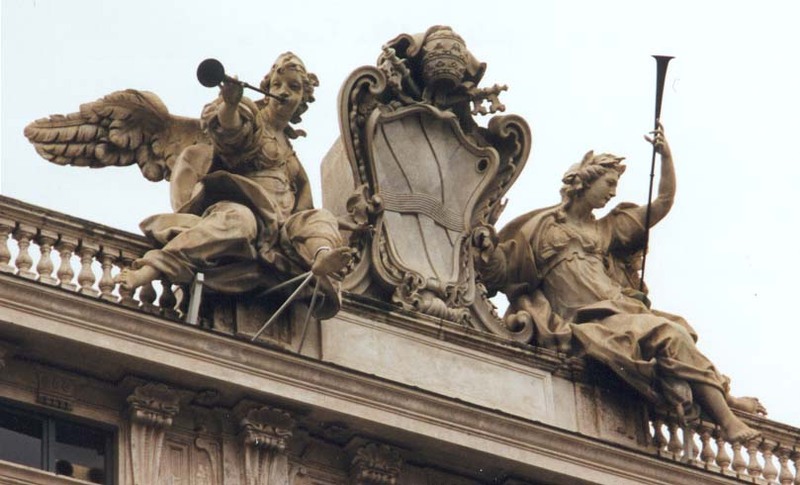 Arms of Alexander VII (1655-67) on the Colonnade of Bernini, Saint Peter. 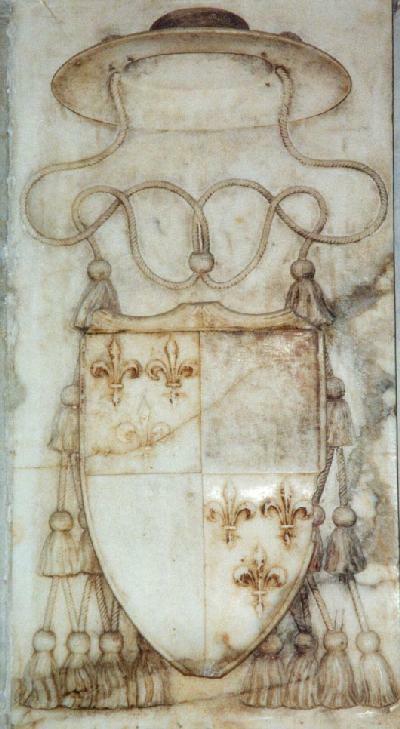 Arms of Gregory XIII (1572-85), he of the calendar: pavement of St. Peter. 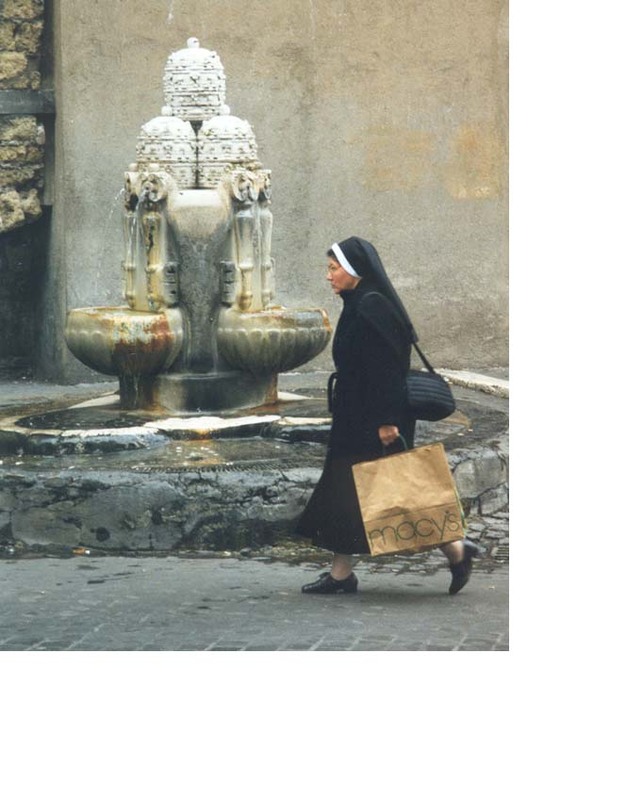 A fountain at the Porta Angelica, north side of the piazza of S. Peter. 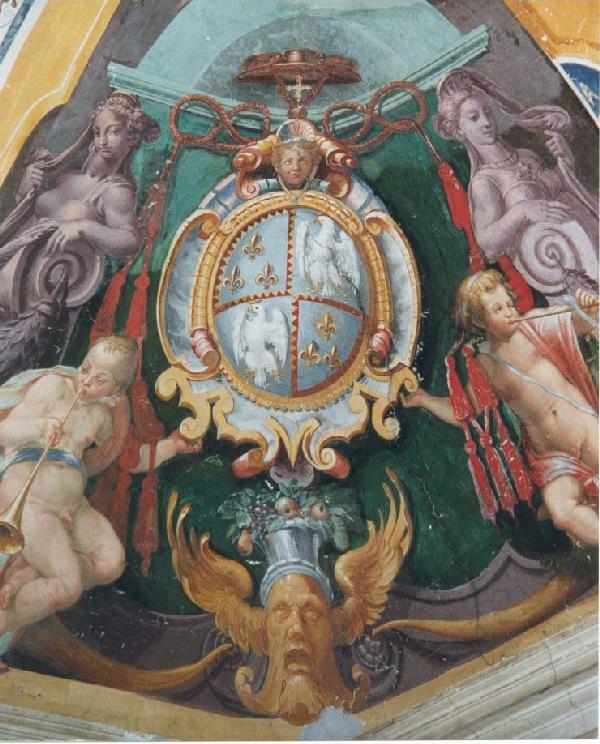 Arms on a mural panel, Museo Vaticano. 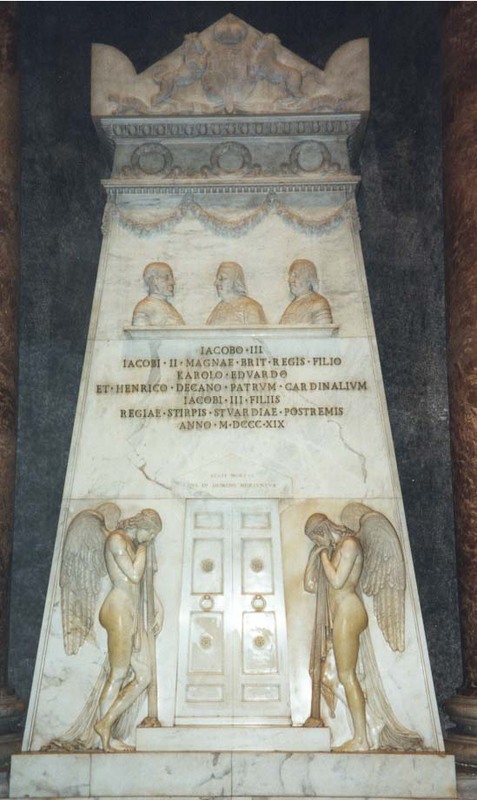 Monument of the last Stuarts by A. Canova, S. Peter. 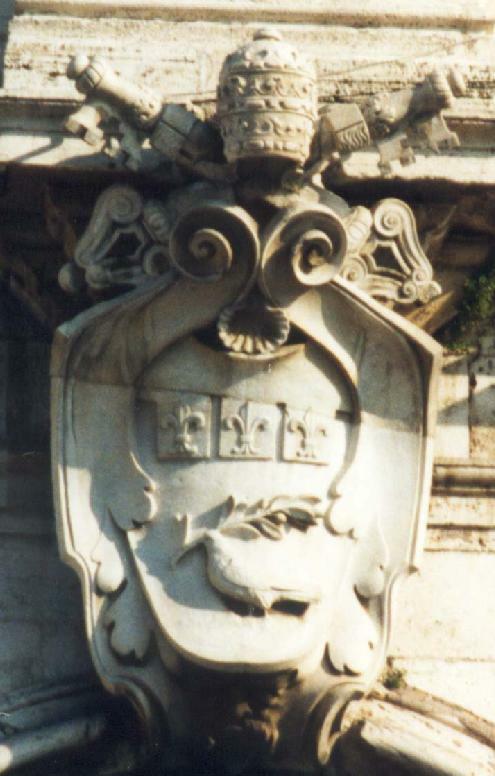 Arms of Urban VIII (1623-44), S. Peter. 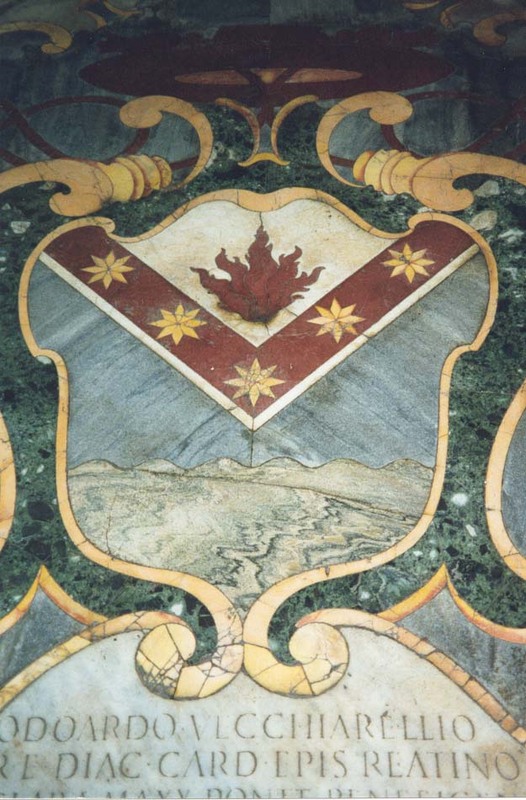 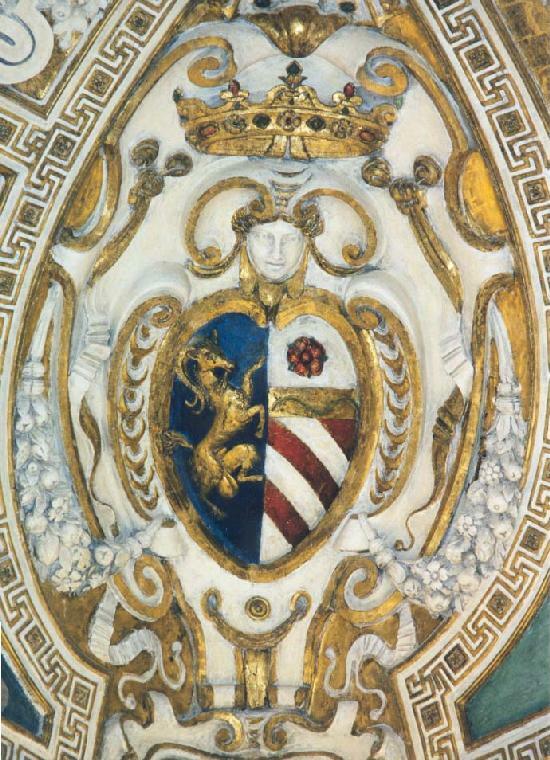 Arms of cardinal Farnese on a ceiling decoration, palazzo Farnese, Caprarola. 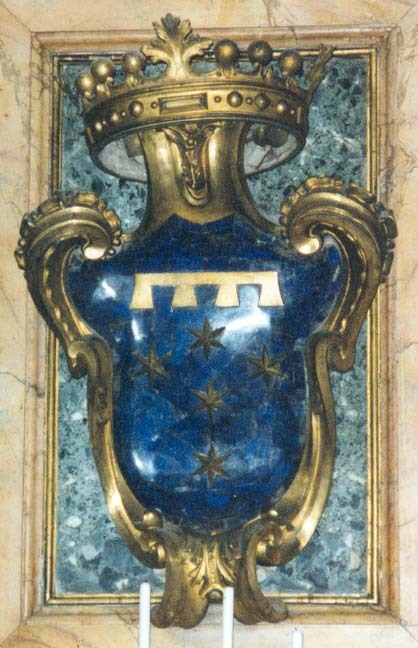 Arms of Clement XII (1722-40), palazzo della Consulta, Rome. 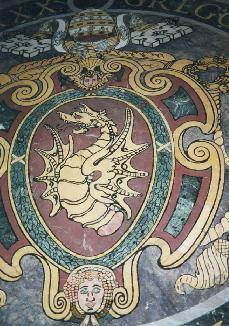 Fresco at the Villa d'Este, Tivoli. 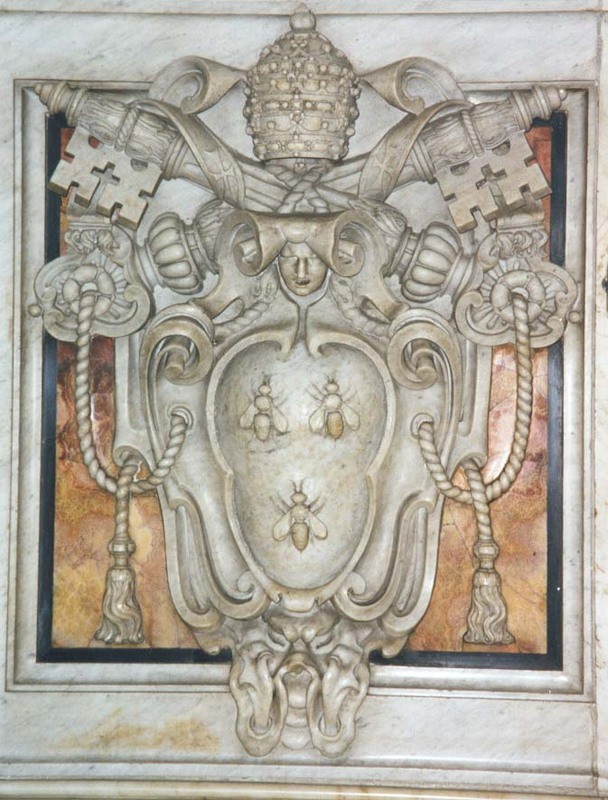 Tomb in Santa Maria Maggiore. 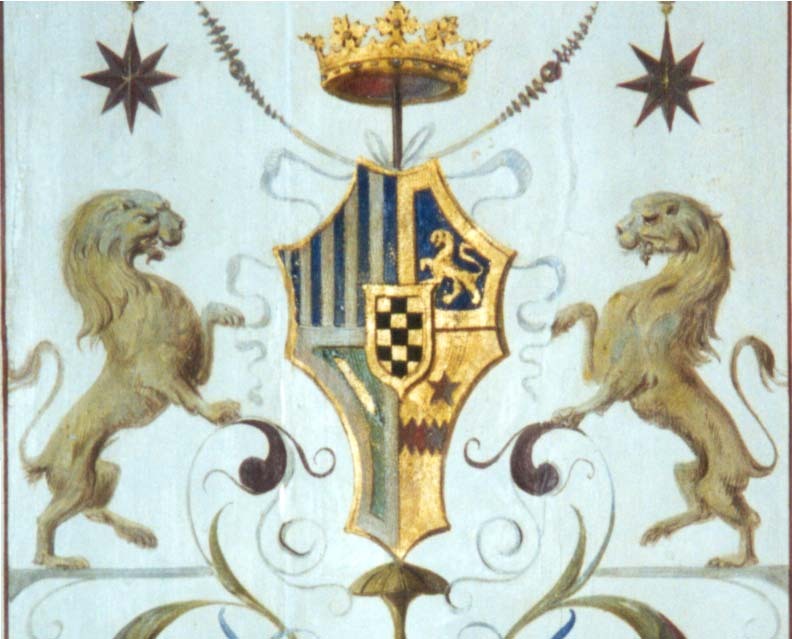 Arms on a celing, palazzo Altemps, Rome. 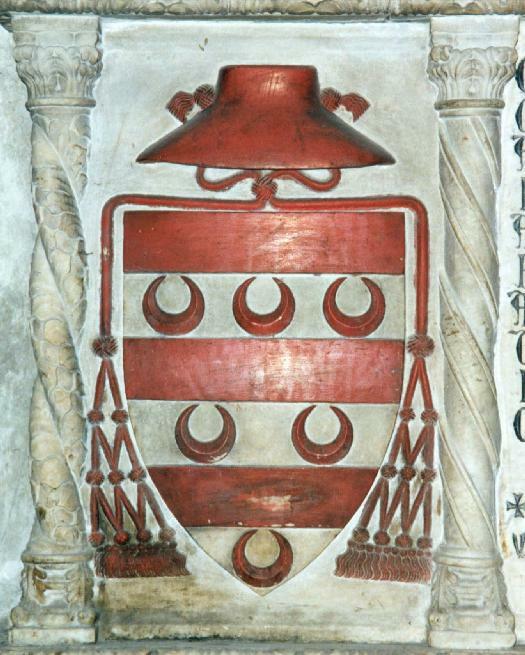 Arms of the cardinal d'Albret, Santa Maria in Aracoeli, Rome. 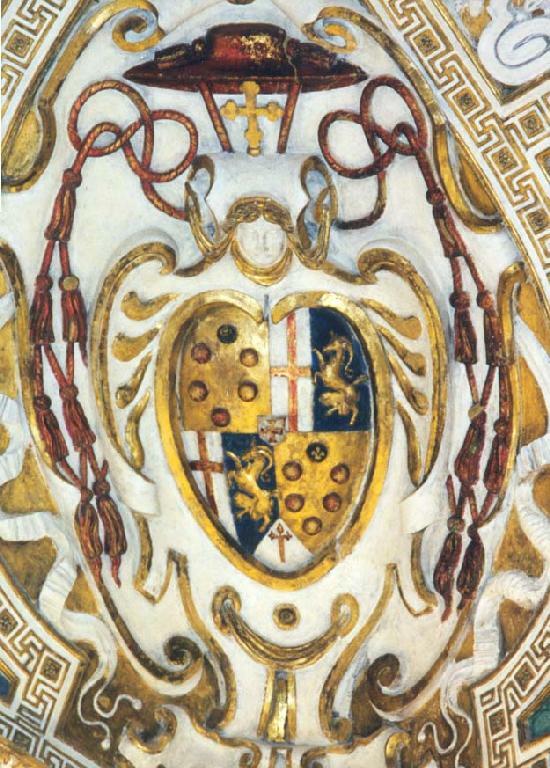 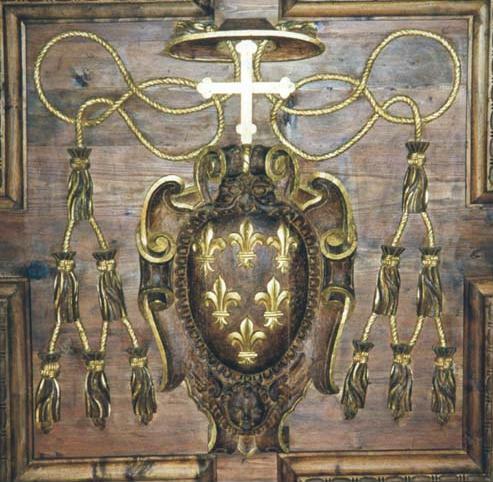 Arms of pope Paul II, 1465, Viterbo.